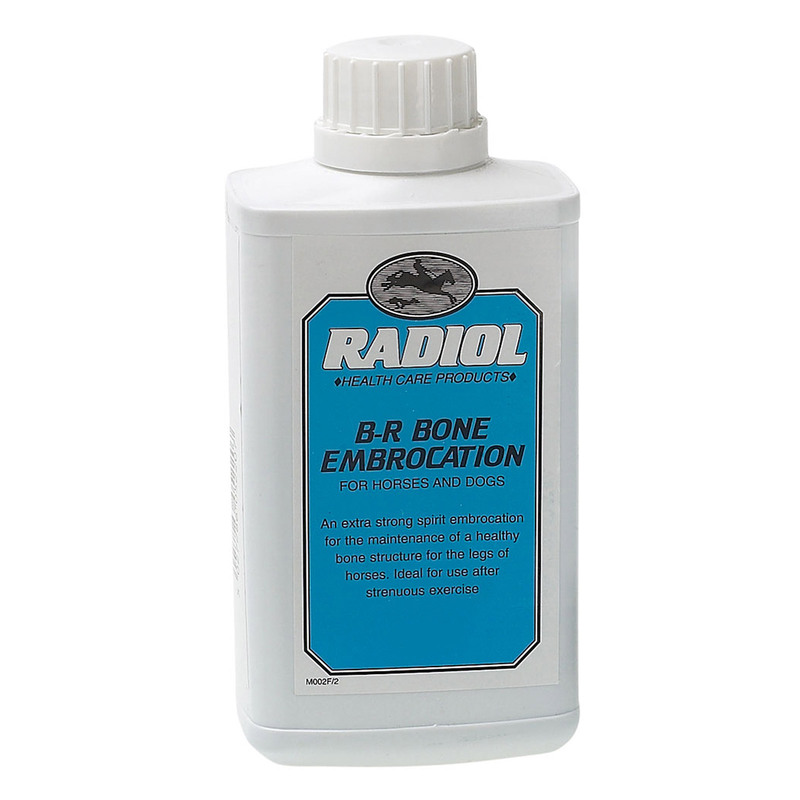 Radiol B-R Bone Embrocation is a topical treatment which is specifically designed for the maintenance of healthy bone structure of horse's legs. This remedy should be used after strenuous exercise. It treats minor swellings, bruising and stains on the muscles and the tendons in the legs. It provides soothing effect after application and smells pleasant.